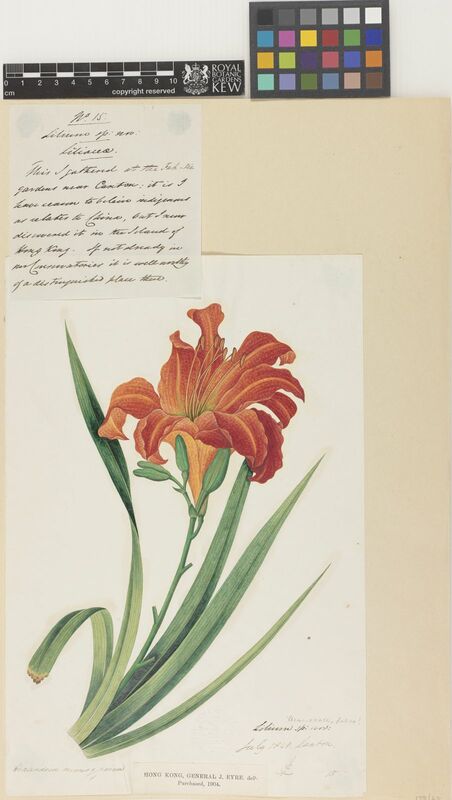 The species and numerous hybrids of daylilies have striking flowers, the latter in a great variety of colours (the species with only yellow and orange), and are mostly hardy in Britain. They are valuable plants for the herbaceous border. 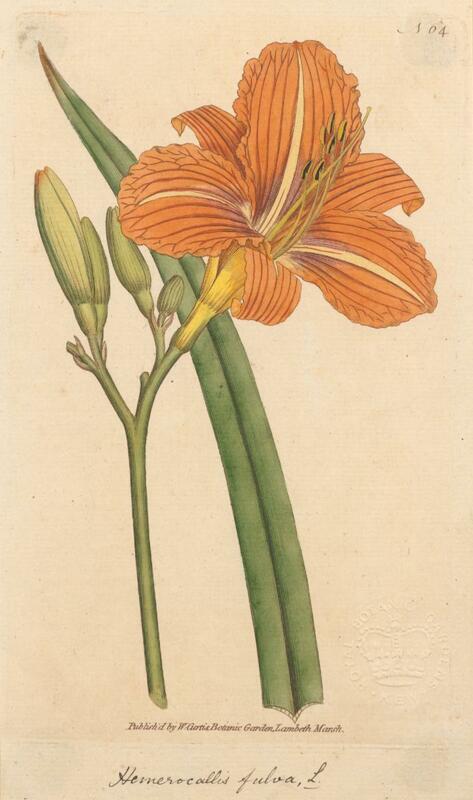 The orange daylily bears a succession of striking orange-red flowers on long stems, but each flower lasts only one day, opening in the morning and closing in the evening. Despite its Asian origins, Hemerocallis fulva, with orange flowers, has been cultivated in British gardens for centuries. 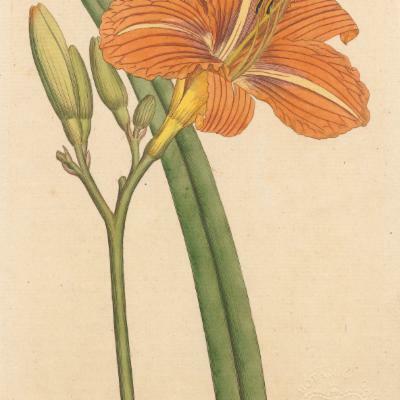 The English herbalist John Gerard wrote in his Herball (1597), 'These lilies do grow in my garden, as also in the gardens of Herbarists, and lovers of fine and rare plants; but not wild in England as in other countries.' 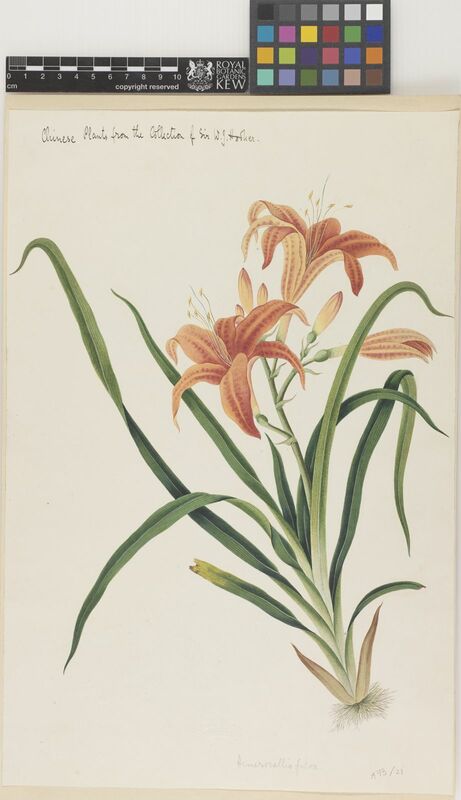 The artist Alexander Marshal (c. 1620-1682), a friend of the great gardener John Tradescant the Younger, produced an accurate painting of the 'The day lillie'. The London apothecary John Parkinson, described the species as 'the gold-red Day lily', in his book Paradisus in Sole (1629). Hemerocallis fulva was given its present scientific name by Carl Linnaeus, the Swedish botanist and father of modern taxonomy (1707-1778), in 1762. Widely distributed, from the Caucasus mountains and southeast Russia to the Himalaya and India, China, Taiwan, Japan and Korea. Found at elevations of 300-2500 m.
Hemerocallis fulva is a herbaceous clump-forming perennial, with fleshy roots (rhizomes) and narrow, tapering green leaves up to 90 cm long. The unscented, orange-red, funnel-shaped flowers measure about 10 cm across and have broad petals with wavy margins and a paler orange strip down the centre of each petal. The flowers appear from June to September and are carried in spikes on stiff green stems that rise above the leaves. Each flower lasts for one day only, opening in the morning and closing in the evening, hence the name. The fruit is a capsule up to 2 cm long, but does not often develop. William Curtis, writing in Curtis's Botanical Magazine in 1788, stated that 'few plants thrive better in any soil or situation..'. Although this attribute makes Hemerocallis fulva a popular garden plant, it has also resulted in environmental problems. 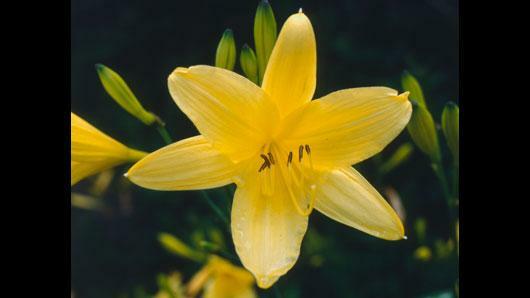 In the United States and Canada, for example, daylilies have escaped from cultivation and have become naturalised so successfully that they are now classed as invasive and out-compete native species. Although not invasive in Britain, daylilies have nevertheless escaped the confines of gardens and can be found growing in coastal dunes, along roadsides, and on waste ground, especially in the south (mainly as a result of indiscriminate discarding of garden rubbish!). Daylilies are popular ornamental plants for herbaceous borders and woodland gardens and along stream-sides. Many hybrids have been bred, with flowers ranging in colour from white to purple and maroon and including double forms. 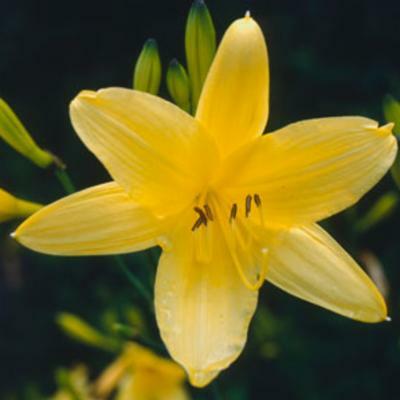 Some parts of daylilies contain a neurotoxin and cattle and sheep can be paralysed if they eat the rhizomes, whereas leaves can cause kidney failure in cats. However, inflorescences and buds (often dried) are used in Chinese, Japanese, Korean, Thai and Vietnamese cooking, and the flowers are also eaten raw as a salad. In China and South Korea, young leafy shoots are gathered from both wild and cultivated plants and eaten as a vegetable, whereas the flowers and rhizomes are used medicinally. The orange daylily is always propagated by dividing the plant. The orange daylily can be seen growing in the Queen's Garden, in the Plant Family Beds, by Cambridge Cottage at Kew Gardens. It can also be found at Wakehurst. Pressed and dried specimens of Hemerocallis fulva are held in Kew's Herbarium, where they are available to researchers by appointment. The details, including images, of specimens of other Hemerocallis fulva species can be seen online in the Herbarium Catalogue. 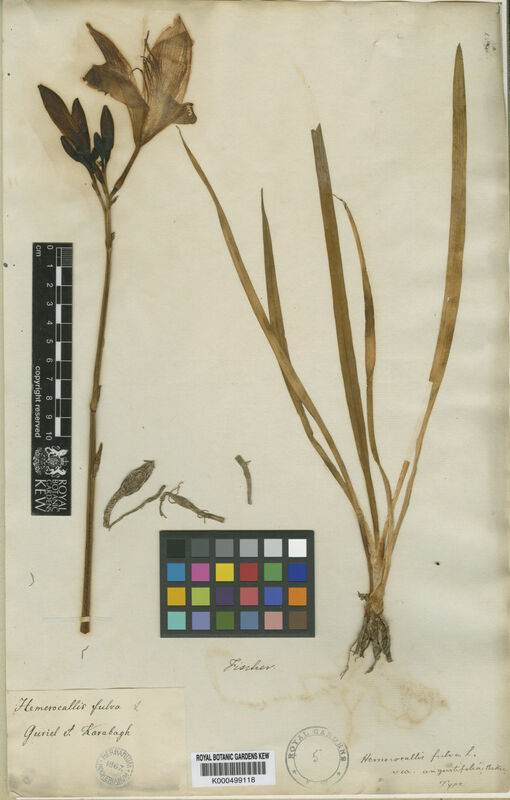 Kew's Economic Botany Collection contains samples of dried flower buds of Hemerocallis fulva . Forests, thickets, grasslands and stream-sides. Rhizomes and foliage are poisonous to livestock and pets. Hemerocallis fulva var. longituba (Miq.) Maxim. Hwang, Y. & Kim, M. (2012). A taxonomic study of Hemerocallis (Liliaceae) in Korea Korean Journal of Plant Taxonomy 42: 294-306. Nikitina, E.V. & al (eds.) (1951). Flora Kirgizskoi SSR 3: 1-148. Frunze : Izd-vo KirgizFAN SSSR. The Plant List (2010). Hemerocallis fulva. World Checklist of Selected Plant Families (2010). Hemerocallis fulva. The Board of Trustees of the Royal Botanic Gardens, Kew. Cooper, M.R., Johnson, A.W. & Dauncey, E.A. (2003). Poisonous Plants and Fungi: an Illustrated Guide. 2nd Edition. TSO (The Stationery Office), London. Flora of China. Hemerocallis fulva. 24: 163. Pemberton, R.W. & Nam Sook Lee (1996). Wild food plants in South Korea: market presence, new crops, and exports to the United States. Econ. Bot. 50(1): 57-70. Porterfield, W.M. jr (1951). The principal Chinese vegetable foods and food plants of Chinatown markets. Econ. Bot. 5(1): 3-37.